Mo Salah has shaven off his beard – which without a game until next Tuesday – is definitely news! 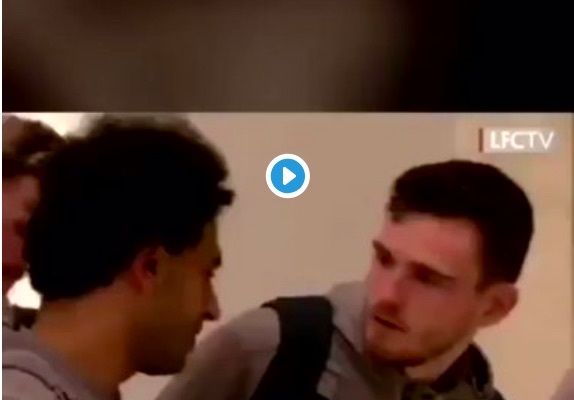 And a clip has surfaced of Liverpool touching down in Marbella, where they’re enjoying another warm weather break, in which Andy Robertson spots his team-mate’s new look for seemingly the first time. You’re too good to be starstruck, Robbo!